Gasthaus zum Brandtner enjoys a quiet location in the district of Liesing, at the edge of the Vienna Woods. 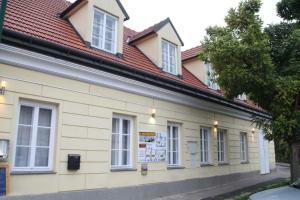 It features a traditional Austrian restaurant with a bar and offers bicycle rental and free WiFi. The spacious rooms at the Brandtner feature a flat-screen cable TV and a bathroom. A bus stops 10 metres away. Liesing Train Station can be reached by bus in 10 minutes, and the centre of Vienna is 35 minutes away. Hiking and cycling trails start at the doorstep.